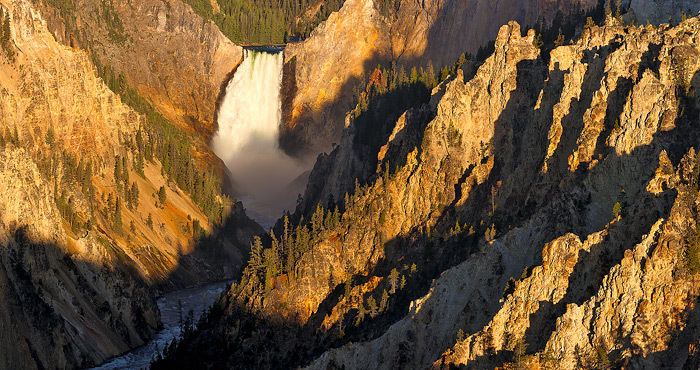 Lower Falls of the Yellowstone River, marking the beginning of the Grand Canyon of the Yellowstone, at first light. Field Notes: Sony a900 camera, Sony 70-400 G lens, digital stitch of 4 vertical images. Photo © copyright by Brett Deacon.